Looking for Pricing? Get Answers Today! Find out why HYDMECH saws provide the best cost per cut in the industry. Get Started & Request a Quote Today! Don’t miss us at one of our upcoming trade shows! View equipment demonstrations and get your sawing questions answered by our Sawing Application Specialists! 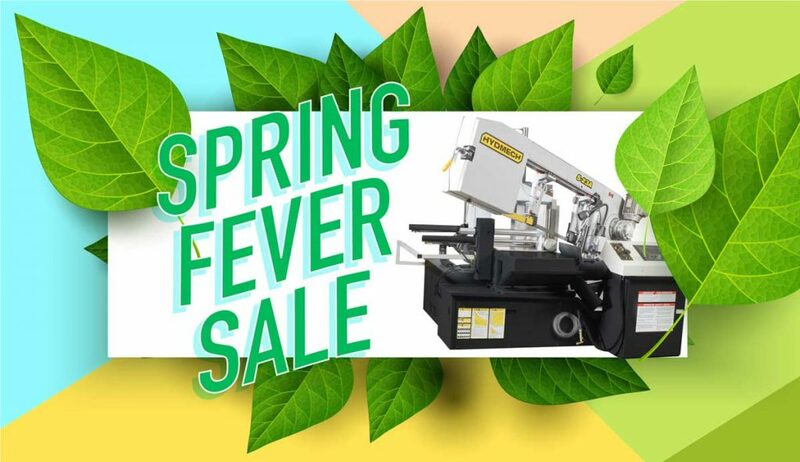 Save Big with the Spring Fever Sale! Our affordable, high quality saws are unmatched in providing the best cost-per-cut in the industry. Simply put: HYDMECH saws are built to last. HYDMECH saws are manufactured at our 125,000 square foot manufacturing facility in Woodstock, Ontario, Canada. Our Conway, Arkansas facility features 76,000 square feet of manufacturing space. HYDMECH saws are backed through an extensive, world-class network of distributors who stock machines, provide installation, training, ongoing maintenance and support. Just a phone call away, HYDMECH also employs five knowledgeable Service Technicians who ensure your HYDMECH saw operates as required. © 2013 Hyd-Mech Group Limited. HYDMECH reserves the right to modify features and specifications.